What a weekend! I loved my sister’s bachelorette festivities. 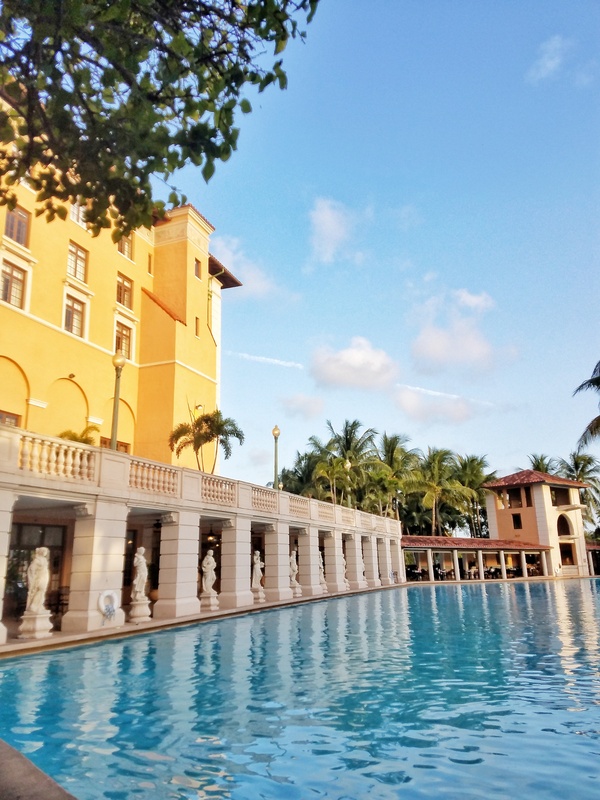 In total, there were three days of events, and they began on Friday afternoon with a cooking class at the Biltmore Culinary Academy inside the glamorous Biltmore Hotel & Resort in Coral Gables. The chef divided the group of girls in teams of two. While enjoying some wine, we prepared five Italian dishes. It took us exactly two hours to prepare them (from scratch! ), and then it took about an hour for everything to cook. The chef and his assistant went around each table and guided us. Below you can see the photo that I took as I arrived to the hotel, a sunset photo at the pool, and the finished dishes. Overall it was super fun, I recommend that you try this with a big group of friends! After the cooking class, the festivities continued at a local lounge. 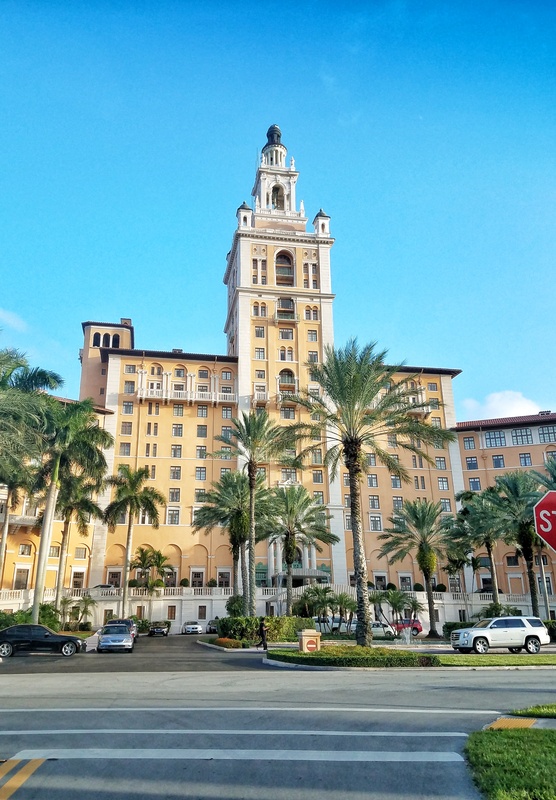 The Biltmore Hotel is located in the community of Coral Gables, it was built in the 1920s, and it is a National Historic Landmark. It has an 18-hole golf course, a tennis center, a 21,000 sq ft outdoor pool (below), and a 10,000 sq ft fitness center. There are two restaurants inside: Palme D’Or (French Cuisine, delicious, I’ve eaten there with my girlfriends), and Fontana (Italian Cuisine, also fantastic). I love that they have an ‘Afternoon Tea’ that is served in their magnificent lobby, from 2:00 -5:00 pm, Wednesdays through Sundays. While you enjoy the tea and scones, you will hear live harp music. 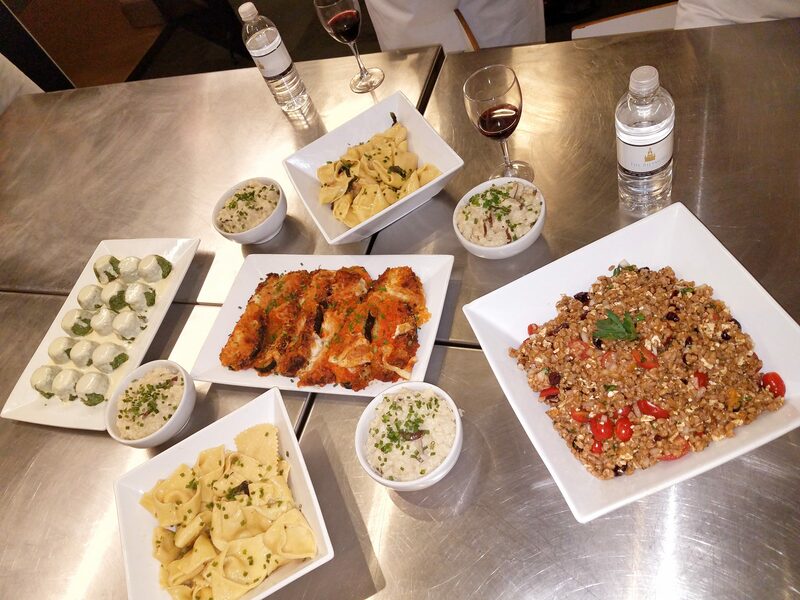 Take a look at the dishes that we prepared at the Biltmore Culinary Academy! Here are a few photos that I captured at the 1 Hotel. 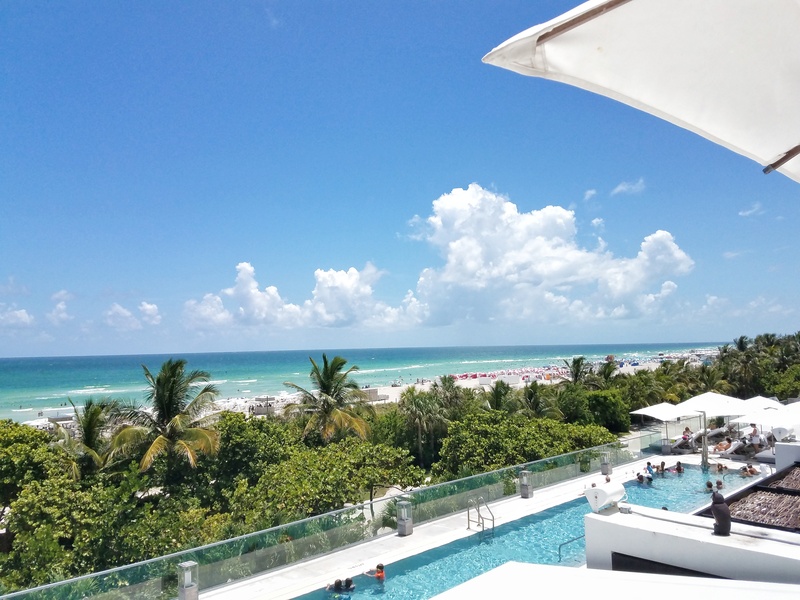 The 1 Rooftop was my favorite, it has a long rectangular pool, and a bar area. On the third floor they have a huge pool, and another bar. Saturday and Sunday afternoon were pool days, luckily the weather cooperated for us! 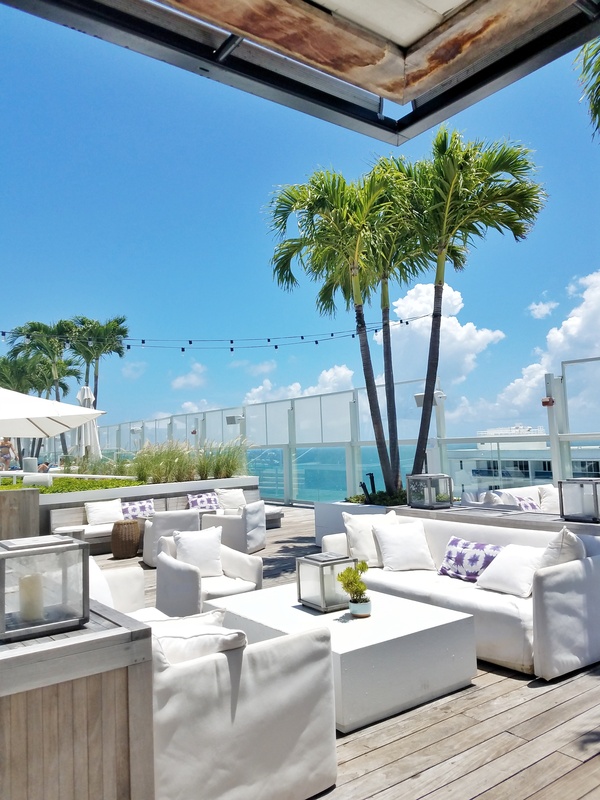 1 Hotel is an upscale beachfront hotel located about a mile from Lincoln Road Mall (South Beach’s very popular outdoor shopping center). It is a pet friendly hotel (I love this so much, and I did see three dogs while there), it has four pools, a spa and a fitness center. 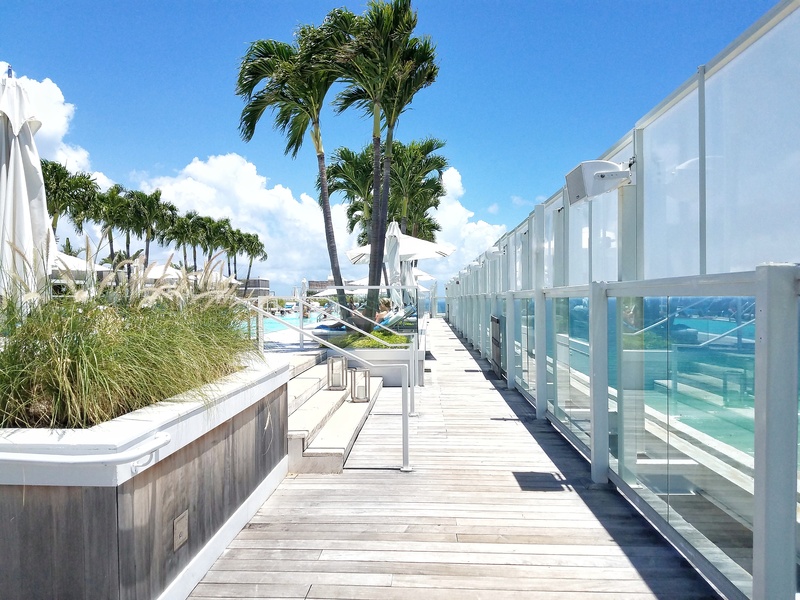 The pool on the third floor is full of cabanas. On Saturday night we had dinner at Byblos Restaurant in South Beach. Byblos offers Eastern Mediterranean food, and my sister knew exactly what to order. I had eaten there before with a large group, but on that occasion the menu was previously set. The best suggestion is to order several plates and for everyone to try a bit of each (totally worth it). We tried so many I cannot remember the names! There was one plate called the Turkish dumplings, and they were delicious. We also had the octopus and a salad that had a bit of orange in it, so good! For dessert, my favorite was the Pizelle Baklava ice cream (you must order this!!). I love that the restaurant has light music in the background, and a lounge area on the ground floor (we ate on the second floor). 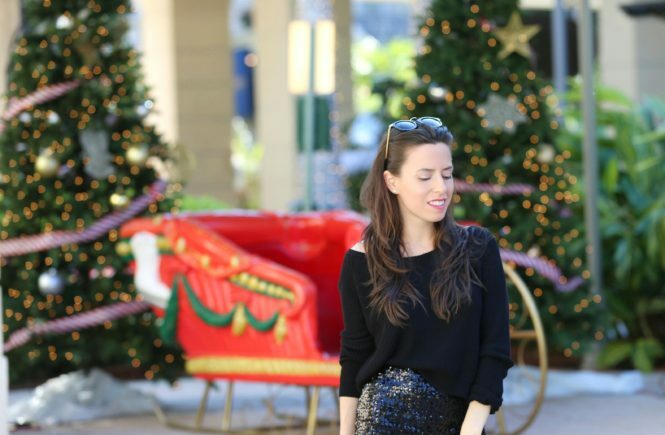 PS: Shared everything on my Instagram InstaStories all weekend! Hope that everyone has a great new week!